Meet Epson’s next generation of EcoTank. 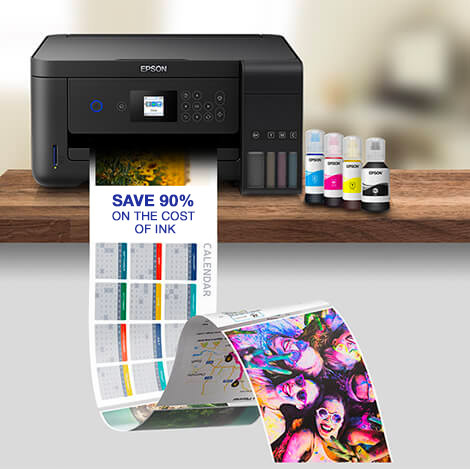 This 3-in-1 inkjet with Wi-Fi can help busy households reduce printing costs by 90% on average1. When life is demanding, you need an ultra-low-cost printer that can take care of itself. 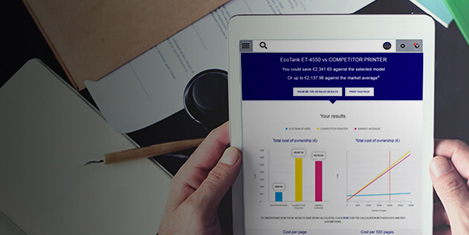 With Epson’s cartridge-free EcoTank, you receive the equivalent of 88 cartridges worth of ink1– that means minimal refills and reduced ink costs. An ideal solution for busy households, this reliable and easy-to-use model features an enhanced ink filling system and new ink bottles engineered for mess-free refills. Go longer between refills with EcoTank. It uses ultra-high-capacity ink tanks to completely remove the need for cartridges. In fact, it comes with the equivalent of 88 cartridges worth of ink1 on average. 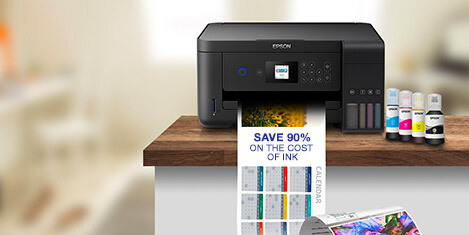 This economical printer can save 90% on ink costs on average1. Giving you an extremely low cost-per-page, it produces an impressive 7,500 pages in black and 6,000 in colour2. With the ink tank now housed at the front, EcoTank is more compact and easier to use than ever before. 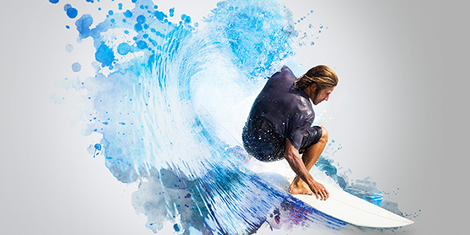 Protecting you against leaks and spills, it features an enhanced ink filling system engineered for mess-free refills. The new bottles also incorporate a mechanism to ensure that only the correct colours are inserted. Thanks to the front ink level display, it's now easy to see when it’s finally due for a refill. And with pigment black and dye colour inks, it produces prints with crisp, clear text and vivid colours. 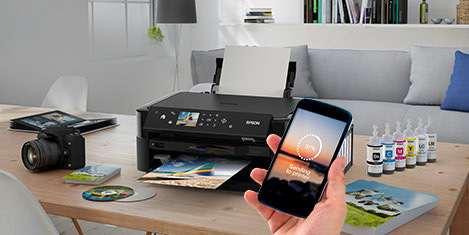 With Wi-Fi and Wi-Fi Direct, you can send documents to print from smart devices using the Epson iPrint3 app. 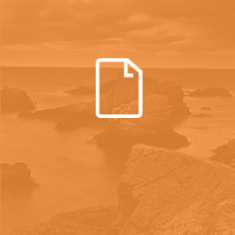 It can even receive files from almost anywhere in the world via Epson Email Print3. Average number of cartridges/savings for printing the number of pages using the bundled ink bottles with the EcoTank range, excluding hardware price. Comparison made on the average of the A4 EcoTank range versus the average of the top 10 best-selling models in Western Europe, in the period January 2017– December 2017, as tracked by GfK. Printing costs calculated on the proportion of Standard and XL cartridges as tracked by GfK for the same reference period for the Western European market, using average retail prices. Ink cartridge yields as communicated by the manufacturer’s websites. Quoted yields are extrapolated based on Epson original methodology from the print simulation of Test Patterns provided in ISO/IEC 24712 based on the replacement ink bottles. Quoted yields are NOT based on ISO/IEC 24711. Quoted yields may vary depending on the images that you are printing, the paper type that you are using, the frequency of your prints and environmental conditions such as temperature. During the initial printer setup, a certain amount of ink is used to fill the print head's nozzles, therefore the yield of the initial bundled set can be lower.